If you believe you may be pregnant or you know you are, pregnancy counseling can help you. 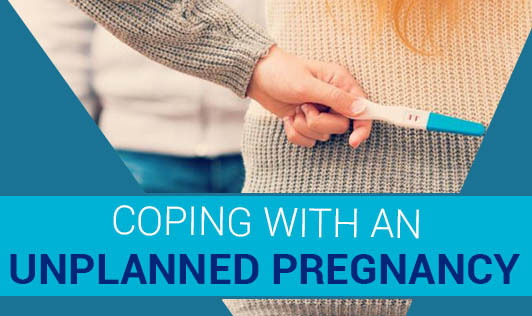 When you are faced with an unplanned pregnancy, there are many choices you will have to make. Pregnancy counseling offers pregnancy advice, referrals and information regarding your options for dealing with your pregnancy. Perhaps you are secretly excited about this but scared to tell your husband. Maybe you are not married and scared about facing motherhood alone. Maybe you do not want any more children and the prospect of having another baby is the worst thing you could imagine right now. There are many scenarios that lead up to unplanned pregnancies. Mistakes in judgment happen, condoms break, birth control pills fail, even tubal ligations and vasectomies fail. Once you get over the initial shock of finding out that you are pregnant you will have some difficult decisions to face. Do you want to carry this pregnancy, how are you going to tell your friends and family, how are you going to handle the emotions and pressures that people will put on you. The first thing you should do is try not to panic. Although this may seem like an extreme emergency, in reality you have time to make a decision. Try to take some time to be calm and collect yourself and think about your options. You will not be the first mum to not be excited about the news of a new baby. Try not to beat yourself up. Take responsibility and be accountable for your actions but wallowing in guilt is not going to help the situation. Before you talk to anyone about your decision take some time to decide what you want to do. Your partner should probably be involved in the decision-making, but, ultimately; you are the one that is going to have to live with your choices. Try to make some plans in your head for what you would like to do before you talk to anyone. After you have had time to think about things and to gather yourself, you may want to get some counsel from friends or family. Find someone that you know will be helpful and supportive of your decision to confide in. You need to have support during this time. You don't want to be surrounded by people that are going to beat you down for your mistake, blame you or pressure you into doing what they want. Surround yourself with a support group. Eventually you are going to have to tell some people. You don't have to tell everyone and you can tell people about this in your own time when you ready. Your partner may not be the first person you want to tell and that's okay. When you are ready find a time to sit down and talk to him. The longer you go without telling him the harder it will be. Sometimes it is easier to tell him earlier and let him come to terms with the situation than it is to wait and have him angry for not telling him sooner. Either way if you think that he will be unhappy it is going to be hard to tell him the news. Prepare yourself for the reactions and when you are ready just tell him. There are no right words to say. Try to avoid blaming or taking the blame. This situation doesn't happen with only one person involved. It is not all your fault or his entire fault. It is a shared responsibility that the two of you will have to deal with and come out with the best possible solution. If your partner, friends and family are not initially supportive that's okay. It is not their life or their pregnancy. They are not the ones who have to live with your decision. You are. Try not to let pointless comments get to you. You can use humor to lighten the mood. If you are excited about this and they are not, then share your excitement. You can use I statements to let them know how you feel. If others fail to respect your decision and do not have anything positive to offer, you might want to simply explain that the discussion is off limits and refuse to talk about it with them. Whatever your choice may be, in the end it is your decision.